Cherish from Padders. A simple boot styled women's slipper to keep you warm this Winter! With soft microsuede uppers and a warm lining as well as durable rubber soles. 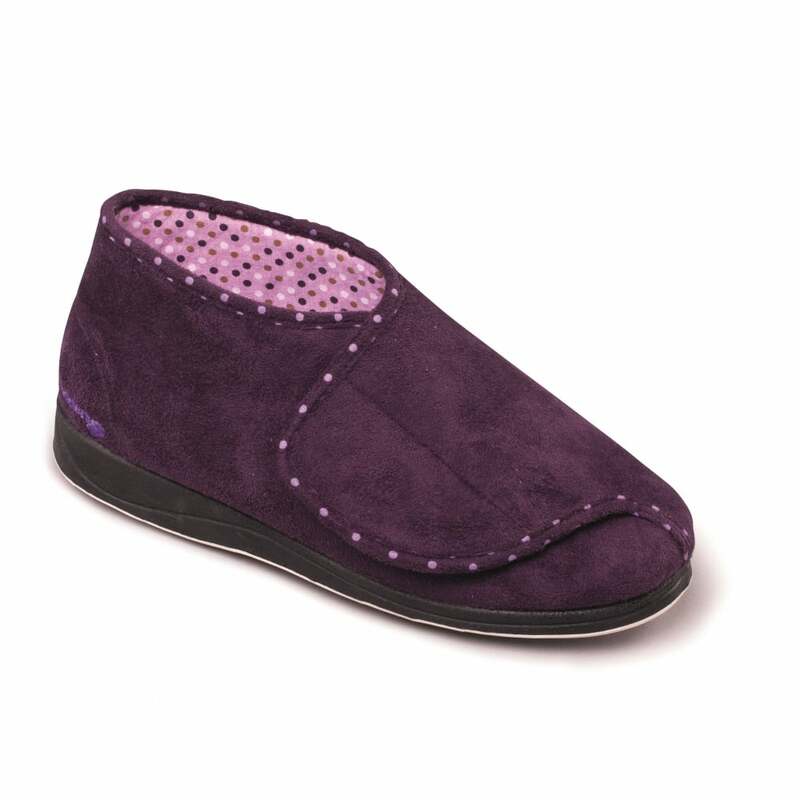 Featuring adjustable touch and close straps and memory foam insoles that will mould to your feet resulting in high comfort! Available in two lovely colours: Navy and Puple.